New York-based creative agency Framlab believes it has come up with a solution to homelessness. New York City has seen a 40 percent increase to its homeless population, but creative agency Framlab believes their Homed pods could help turn things around. 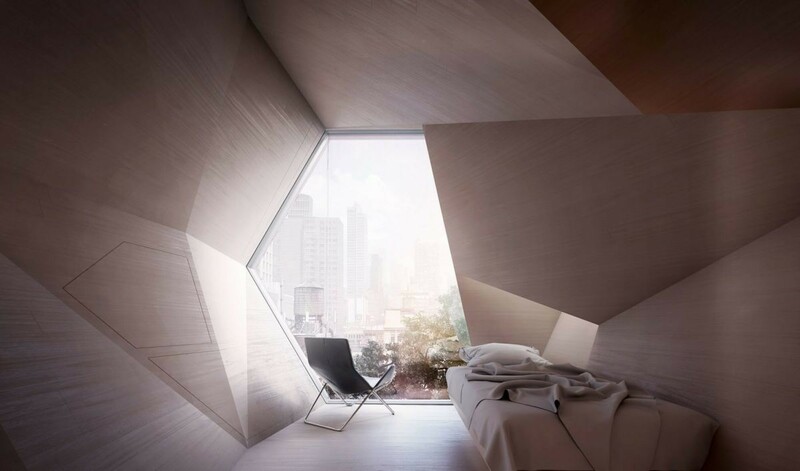 Their hexagonal units could be attached to buildings and provide shelter to individuals. There’s been a 40 percent increase in the number of homeless people living in New York City since 2012. As reported by the Gothamist earlier this year, the Department of Homeless Services counted 3,892 homeless individuals in one night — over 1,000 more people than 2016’s 2,794. A lack of affordable housing and ineffective rent regulations are said to be a couple of contributing factors to the rising percentage, but New York-based creative agency Framlab believes it has come up with an effective — and creative — solution to the problem. The company proposes constructing and mounting scaffolding to the windowless sides of buildings, then slotting newly made hexagon-shaped pods inside. The project, called Homed, would be taking advantage of the “vertical land” NYC still offers, while its remaining land becomes more and more scarce. Framlab explains that each pod is meant to comfortably hold a single person and can be tailored to fit their needs and lifestyle. Access is gained via a staircase built into the aforementioned scaffolding. The pods are easy to assemble and fit together, which also allows them to be easily removed if they — or the building they’re attached to — are in need or repairs or expansions. Interestingly enough, the windows equipped to the individual pods — in addition to being PMMA smart glass and offering some much needed transparency and privacy — can also be used to display ads or artwork. This opens up the possibility of the pods generating revenue or potentially paying for themselves. “This is a response to a host of factors which the typical shelter spaces are unable to provide, many of which are crucial for acceptable qualities of life: privacy, safety, individuality, self-esteem, among others,” writes Framlab on their website. Despite the project’s creativity and ambition, the agency notes that Homed is not a solution to the homeless problem, and should be seen as “an instrument that plays a part in the solution.” There’s a lot of work that needs to be done to get the project off the ground, but if it works out, it could significantly reduce the number of people living on the streets, especially if the idea is expanded to other cities and states. Homed pods may not be luxury apartments — or even houses — but not having to worry about where they’re going to sleep can go a long way for people trying to get their lives back in order.